Cat's Cradle? We beg your pardon! 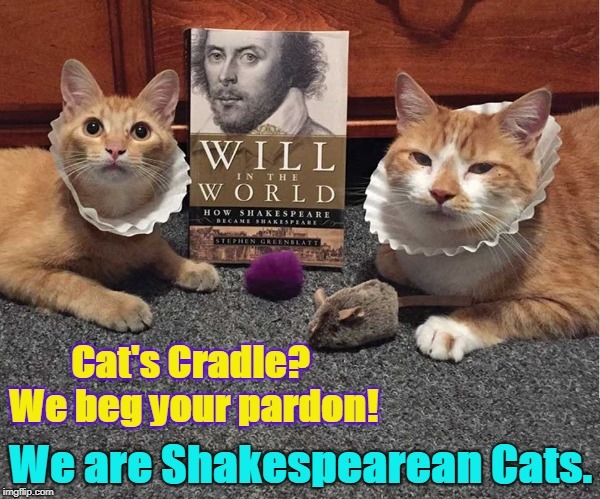 We are Shakespearean Cats.